On the 6th (Tue), surround yourself with nature on a nature and wildlife tour. Get ready for a full day of sightseeing on the next day: enjoy the sand and surf at Trinity Beach, then tour the pleasant surroundings at Palm Cove Beach, and then admire the natural beauty at Botanical Gardens. For more things to do, photos, reviews, and more tourist information, use the Cairns itinerary planner . Memphis, USA to Cairns is an approximately 29-hour flight. You can also do a combination of flight and bus; or do a combination of flight and train. The time zone changes from Central Standard Time to Australian Eastern Standard Time (Queensland), which is usually a 16 hour difference. In August, Cairns is a bit cooler than Memphis - with highs of 80°F and lows of 63°F. Finish your sightseeing early on the 7th (Wed) to allow enough time to travel to Gold Coast. 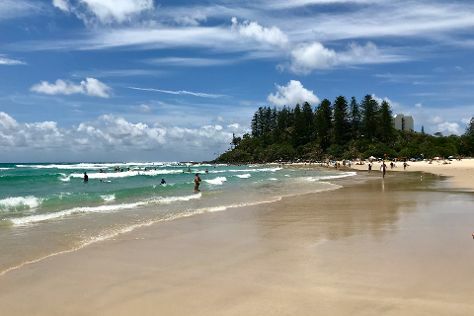 On the 8th (Thu), kick back and relax at Coolangatta Beach, kick back and relax at Burleigh Heads Beach, and then explore the wealth of natural beauty at Burleigh Head National Park. To find traveler tips, where to stay, and tourist information, refer to the Gold Coast travel itinerary planner . You can fly from Cairns to Gold Coast in 5.5 hours. Alternatively, you can do a combination of flight and train; or drive. Traveling from Cairns in August, expect Gold Coast to be slightly colder, temps between 71°F and 50°F. 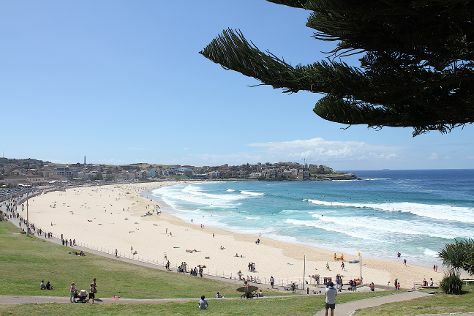 Finish up your sightseeing early on the 8th (Thu) so you can travel to Sydney. Start off your visit on the 9th (Fri): kick back and relax at Bondi Beach, then take in the views from Sydney Harbour Bridge, and then wander the streets of Darling Harbour. Here are some ideas for day two: catch a live performance at Sydney Opera House and then wander the streets of The Rocks. For other places to visit, ratings, where to stay, and tourist information, read our Sydney sightseeing planner . You can fly from Gold Coast to Sydney in 3.5 hours. Alternatively, you can do a combination of train and flight; or drive. While traveling from Gold Coast, expect a bit cooler days and about the same nights in Sydney, ranging from highs of 66°F to lows of 49°F. Cap off your sightseeing on the 10th (Sat) early enough to travel back home.